We set out on foot from Roche-a-Bateau at 7am so we could return before the midday heat. 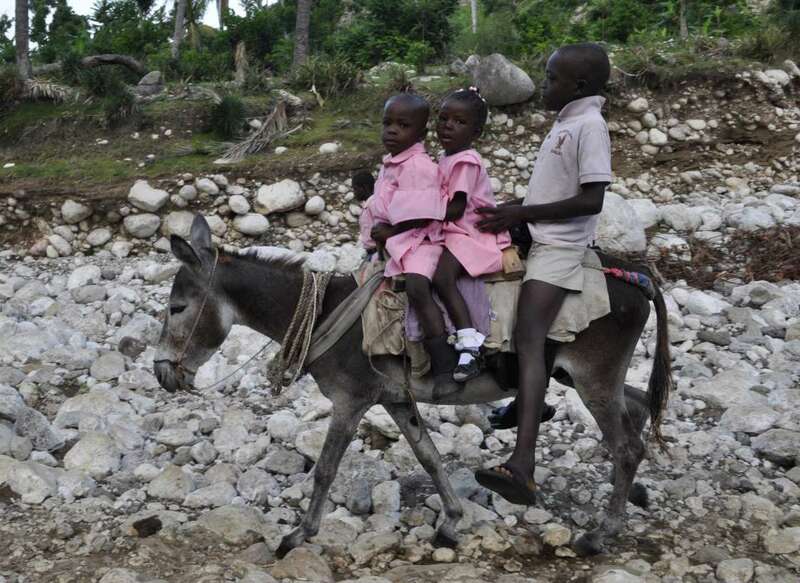 As we began the two and a half hour trek, we encountered Haitians traveling in the opposite direction who, despite the early hour, were completing their long walk to town. The majority of the early morning traffic consisted of school children headed to school. Most were walking, some were on donkeys, but all were impeccably dressed and greeted us with smiles and quizzical looks as we crossed paths. The beginning of the trail was a wide-open rocky riverbed that required wading through rushing water. We cautiously navigated our footwork on the rough river bottom, and held our breath as locals quickly crossed the swift waters with infant children in their arms. Most were on their way to “baby day” at the dispensary in Roche-a-Bateau. After the second river crossing we were greeted by Boklo residents with donkeys to assist us for the remainder of the journey. We loaded our backpacks (and some of our bodies) onto the donkeys. After about 10 river crossings the trail narrowed, became much steeper, and incorporated switchback turns. At this point were joined by Boklo’s Parish Council leader, Annez, who had traveled to Roche-a-Bateau the day before. Our group began to tire and take more frequent rest stops but we watched in amazement as Annez traversed the mountain trail effortlessly; not even breaking a sweat. On the approach to Boklo, we noticed houses being constructed or repaired. Hurricane Matthew had had a devastating affect on the community. Many homes had been completely swept away, and several residents had died from exposure after losing shelter. Finally, we arrived in the village. 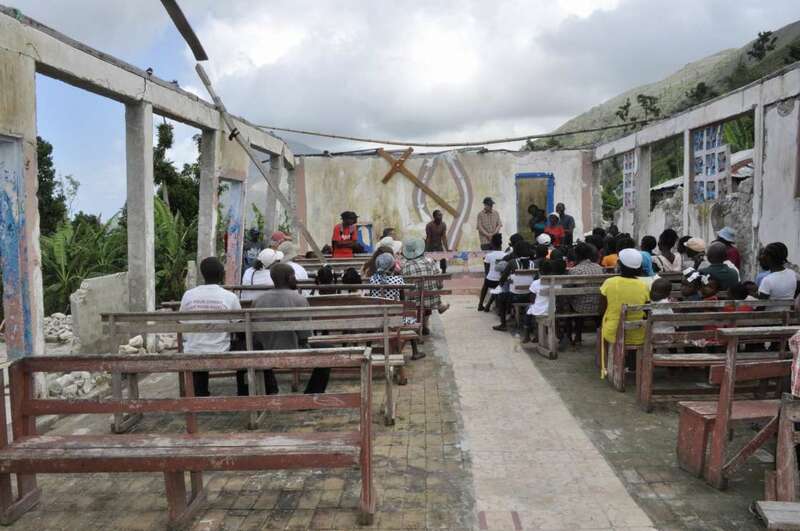 We were greeted by the entire community in the remains of their severely damaged chapel. Fr. Serge and Fr. Mike addressed the community, and Annez spoke of their desire to rebuild the chapel, and an adjacent small school building which was completely demolished. The journey down from Boklo was a bit more somber as we reflected on what we had seen and heard, and discussed how we might help. We asked for and received a cost estimate to rebuild the Boklo chapel, and thanks to the outpouring of generosity from St. Mary’s parishioners, it is possible to rebuild. A first installment for reconstruction was sent at the end of June. We look forward to keeping the St. Mary’s community updated as the Church construction proceeds.